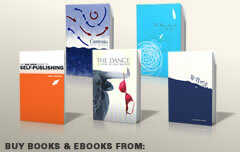 ← Self-Publishing: Art or Business? From the dashboard, select Plugins > Add New as in the example below (I color-highlighted the buttons to help you find them). Type “Under Construction” in the search box and then click the “Search Plugins” button. When the results list comes up, find the “underConstruction” plug-in and click “Install Now.” This is one of many ways WordPress makes life easy for those who lack the technical skill to manage a traditional website. 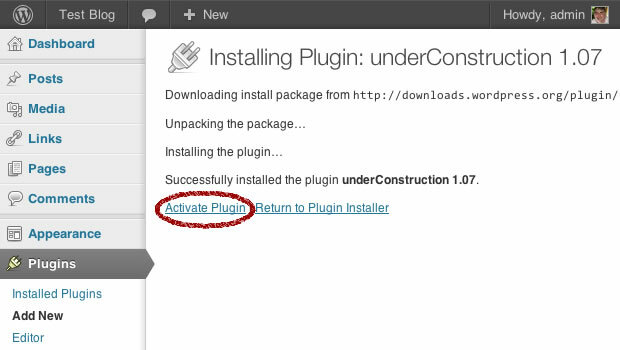 WordPress handles downloading and installing plugin files for you with a single click. You should get a status report telling you the installation was successful. Assuming it was, click the “Activate Plugin” link. If you have problems with the installation, call your hosting company. Their support staff should be able to help you find and fix the problem so future plugin installations work properly. After you activate the plug-in, you’ll be taken to the main Plugins screen where you’ll see your new “Under Construction” plugin and two more that were installed automatically when you set up your WordPress site. Notice that the other two plugins are not activated. In other words, you can turn plugins on and off as you want without having to uninstall and reinstall them. Each plugin has a “Settings” link under its name in the plugin list. Most install an additional configuration panel under one of the main tabs at the left side. Usually, the new panel appears under the “Settings” tab, but some plugins create their own new tabs and others will install a configuration panel under “Tools” or “Appearance” depending on the plugin’s function. Access the settings for the “Under Construction” plugin by clicking the “Settings” link or through the list of items that appears when you roll your mouse over the “Settings” tab. The “Under Construction” plugin offers several options, including the ability to write a custom message in HTML (if you’re comfortable doing that, you can turn that option on at the bottom of the configuration screen), but all you really need to do is turn the plugin “on” and then hit the “Save Changes” button at the bottom of the panel (not shown). WordPress websites consist of a combination of posts and pages. If you intend to post articles and share news with your readers, you’ll do this in the posts section, but before you start blogging, you’ll most likely want to create a few pages that describe what you do, who you are and what your site is about. The “Pages” tab allows you to create them. Pages are the parts of your site that function as traditional web pages; they usually don’t change very often. Posts are a series of articles, news items and journal entries that show up in chronological order on a blog or news page (we’ll cover posts in a subsequent article). Through the magic of WordPress, a main menu bar is automatically created on your site that contains a button for each of your pages. Before you begin, step back and consider which pages your site really needs. The fewer pages you have, the easier your site will be to navigate. 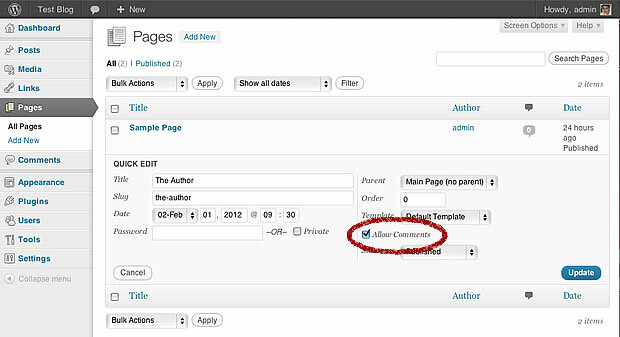 If your site is for a single book by a single author, you may only require an “Author” page and a “Book” page. If you have several books or offer several services, create a hierarchy of pages that best organizes your site’s content. A pages can be a sub-page that appears in a dropdown menu under a main page. To create a new page, select the Pages tab and then click “Add New” either from the menu or from the button next to the title on the “Pages” list. 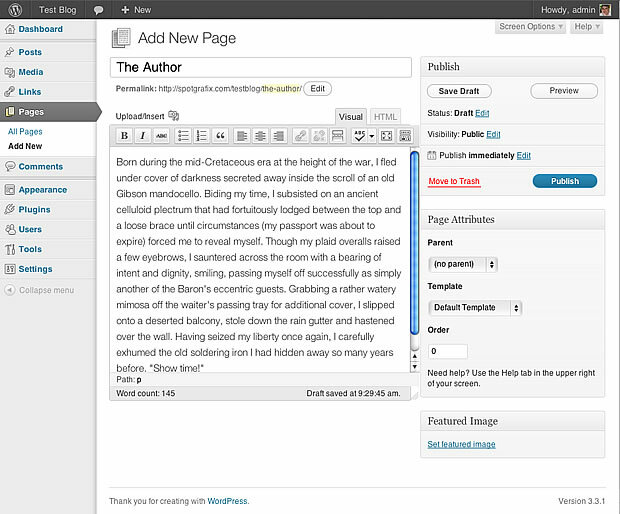 A “Sample Page” was created when you installed WordPress. After you click “Add New,” you’ll be taken to to the “Add New Page” screen. This is where content creation takes place. 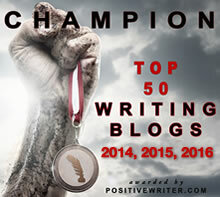 Compose your title and then modify your text just as you would in a Word Processor. For the more technically proficient, the code generated for your text can be viewed by toggling between the “Visual” tab and the “HTML” tab at the top right of the content editing area. If you want pages to appear as sub-pages of a main topic, you can set a page’s “Parent” in the “Page Attributes” dialog box in the right sidebar. For example, you may wish to create a “Services” page and then create individual pages for “Editing”,”Proofreading” and “Writing Workshops.” Set the “Parent” of these three latter pages to be “Services” and they’ll all appear in a dropdown menu under “Services” in the main navigation bar. We’ll explore a better way to control page hierarchy in the next installment of WordPress Websites for Writers and Publishers, but if you need that functionality now, it’s easily accessible. Roll your mouse over any of the buttons for an explanation of its function. Click the “color bars” icon at the far right of the toolbar to reveal “the kitchen sink,” a second row of formatting tools that includes a “text full-justify” button, a text color option, buttons that allow you to copy/paste to/from Microsoft Word, indent paragraph options and others. A “Help” icon provides further explanation. Above the toolbar is an “Upload/Insert” icon. 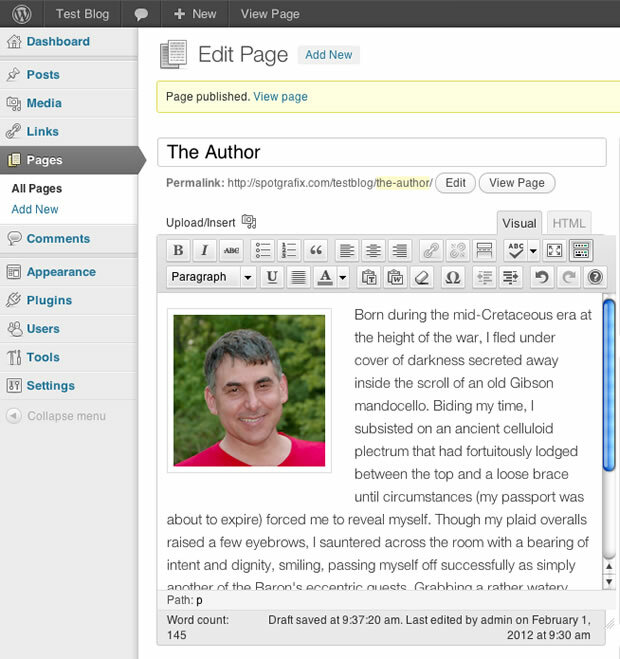 This allows you to add images and other media into your pages. Selecting the “Upload/Insert” icon opens up a window on top of your editing screen. 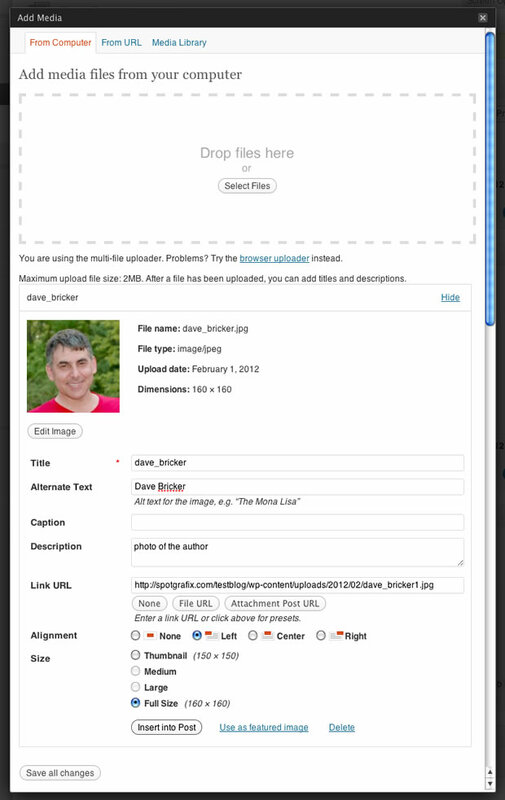 To add an image, drag it to the “Drop Files Here” box or use the “Select Files” button” to choose a specific file. When the upload is complete, the window will expand to allow you to set options for how your image is displayed. NOTE: UNLESS YOU WANT BIG “CLICK-TO-ENLARGE” IMAGES, RESIZE YOUR IMAGES TO THE DESIRED DIMENSIONS WITH AN IMAGE EDITING PROGRAM BEFORE UPLOADING THEM TO WORDPRESS. LARGE IMAGE FILES WILL SLOW YOUR SITE DOWN. Filling the numerous description fields is optional, but these provide an excellent way to associate keywords with your images, both for internal searches of your site and for external search engines. Use the settings at the bottom to align your image to the text around it and to choose the display size for your image. In the example below, I uploaded the image at the size I intended to display it and then aligned the image to the left of the text. When the image details are set, click “Insert Into Post.” Your image will be revealed in the text within the editing area. To see the result, use the “View Page” link in the yellow bar at the top of the page. (I like to control-click (command-click on a mac) on the link and choose the option to open the preview in a new browser window or tab.) This allows me to save changes in the editing window and then refresh the preview in the other. Here’s what our new page looks like in our new blog. 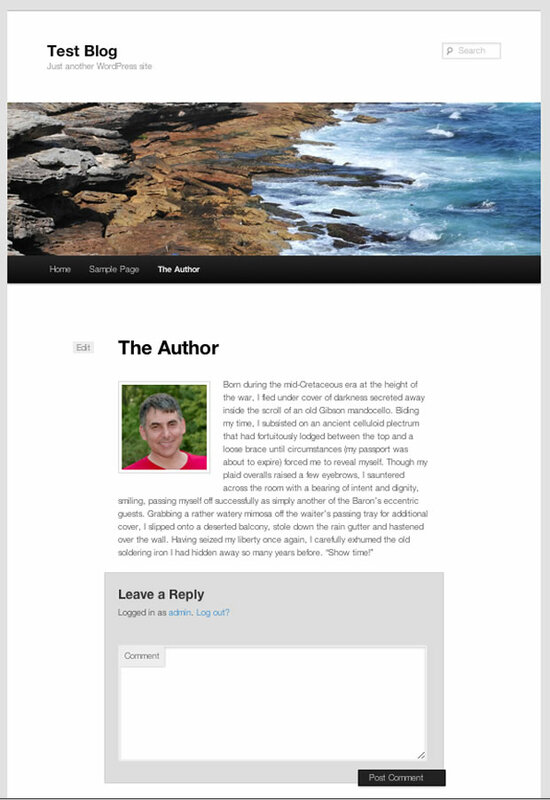 Notice the “Author” button installed in the navigation bar. Usually, we don’t want comment boxes on pages (they’re more appropriate to posts), so we’ll want to hide the comment box that appears by default. In the WordPress Dashboard, choose Pages > All Pages, and then select the “Quick Edit” link under the title of your new page that appears when you roll your mouse over its title. 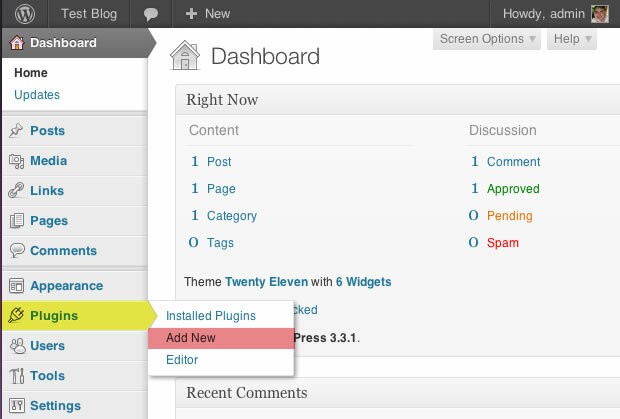 Deselect the “Allow Comments” checkbox and click the “Update” button. We no longer need the “Sample Page” that was installed with WordPress. Roll your mouse over its title and click the “Trash” link to remove it. 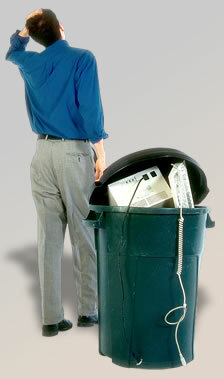 As is true with documents on your computer, documents will remain in the trash until you empty the trash. 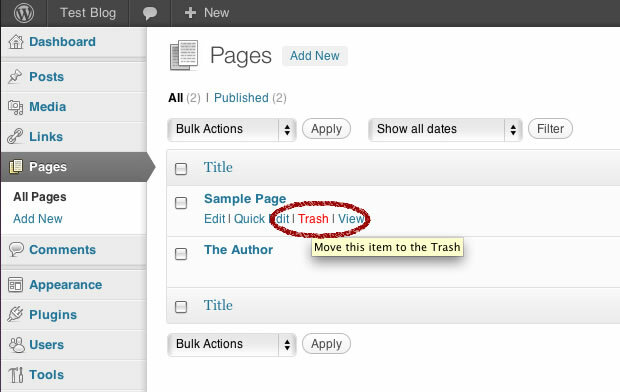 As soon as you move the “Sample Page” to the trash, a third “Trash” option (not shown) will appear under next to “All” and “Published” at the top of the “Pages” panel. In this article, you installed plugins, created and organized pages for your site, uploaded images, turned off the comment box and trashed pages you didn’t want. In the next installment, you’ll manage the order and appearance of the main navigation menu and work with the design aesthetics of your WordPress site. Thanks for these WordPress tips that helped me fix a problem today, Dave. I’m new to WordPress, but it’s so much easier than sites I’ve laboriously built in the past, including the one that the one I’m now working on replaces.